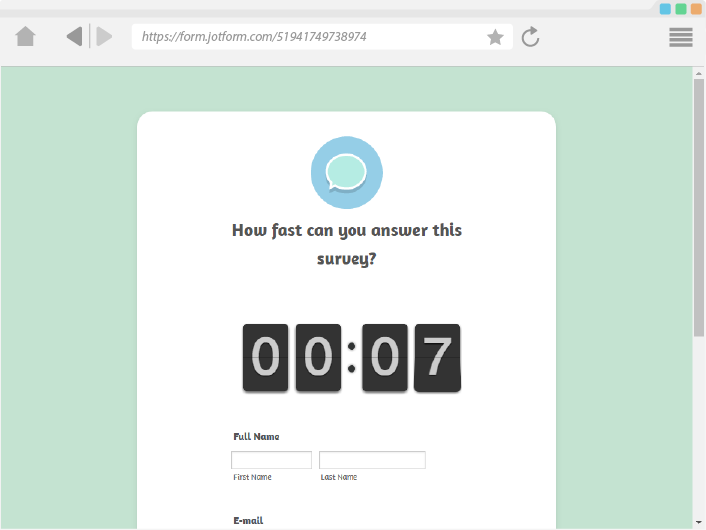 Add an aesthetic timer on your form that will both impress and inform your users should there be a time limit to how the form is filled. 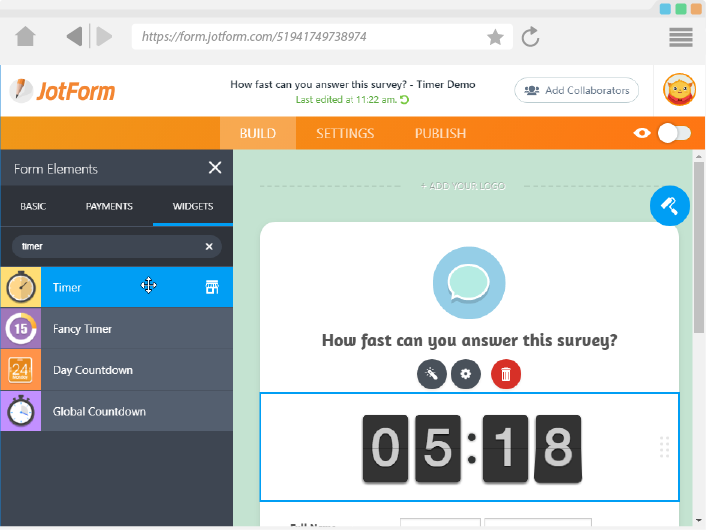 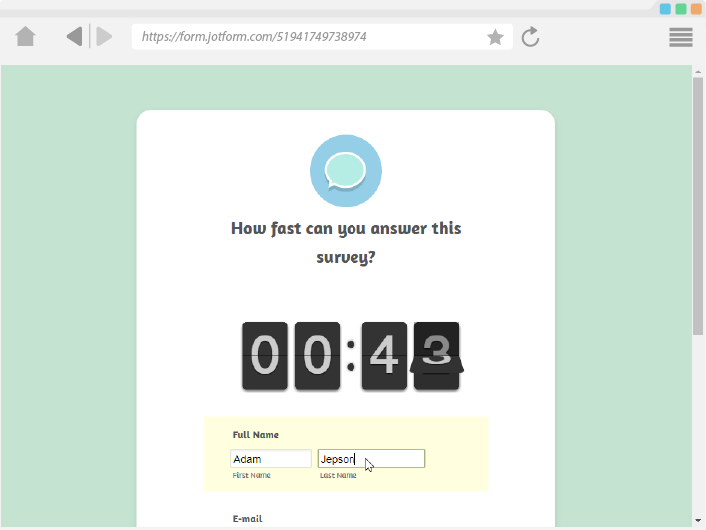 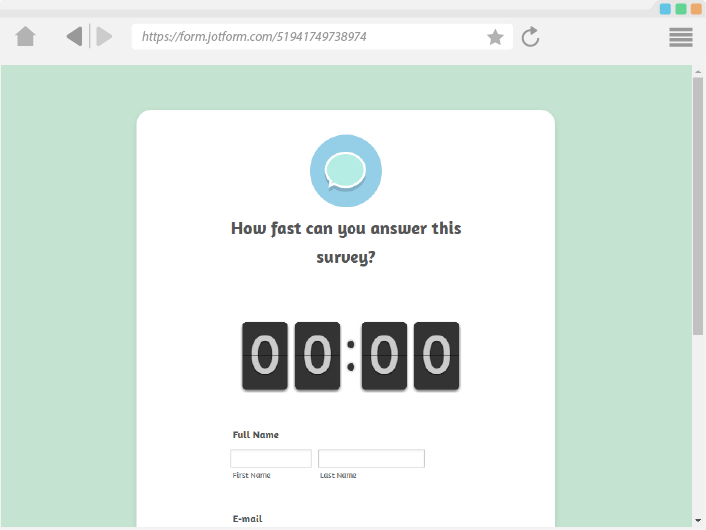 You might need to record how long form user took to complete the form, this is the ideal widget, because you can also chose to hide the counter on the form, recording time in the background. 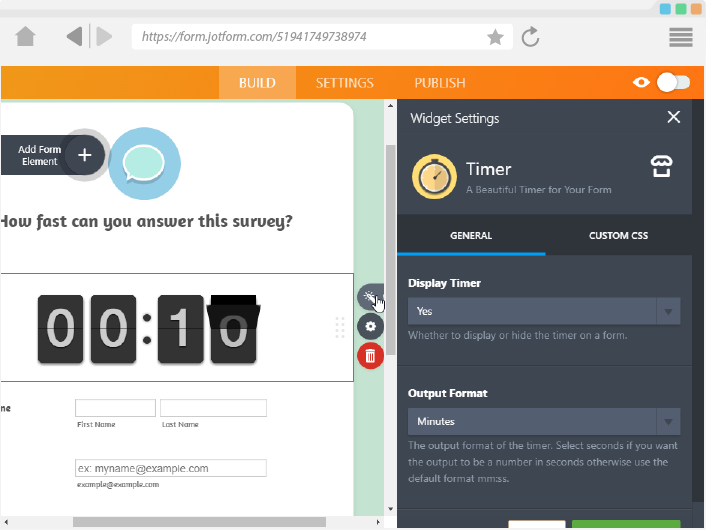 The widget needs no additional configuration, and is ready to be used once its added to your form.